Text, Email or phone call alerts. 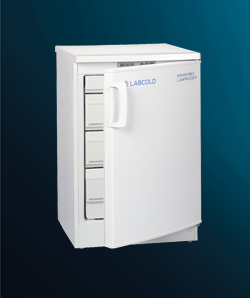 Protects and documents temperatures of refrigerators and freezers. 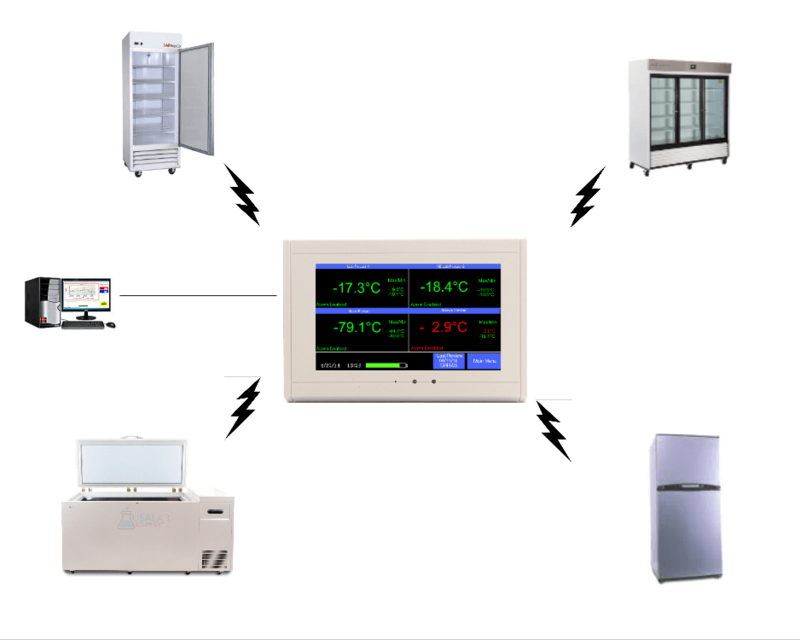 Displays and logs up to four different cold storage appliances in a simple format. Simple installation. 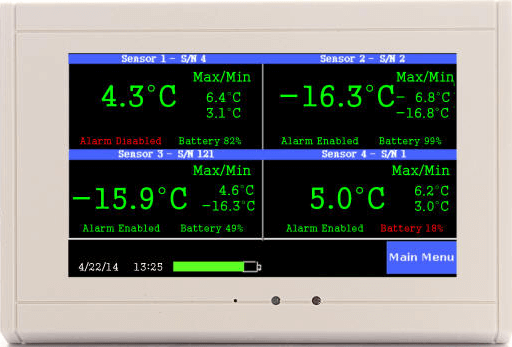 Color coded display shows safe/unsafe conditions and Min/Max. 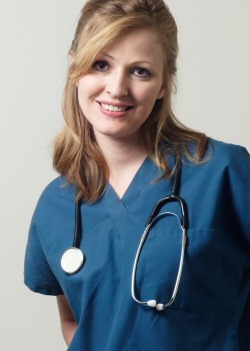 Insure safety and compliance. Monitors, logs, charts and alarms. 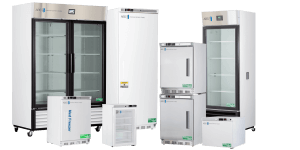 Protects critical inventory stored in refrigerators and freezers. 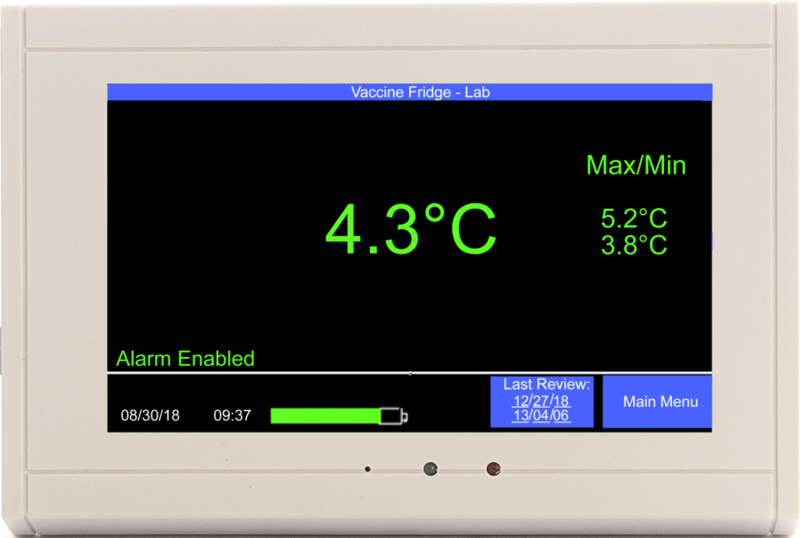 Once you enter in your safe temperature range for each freezer the TV2 checks every four seconds to see it the temperature has become unsafe. 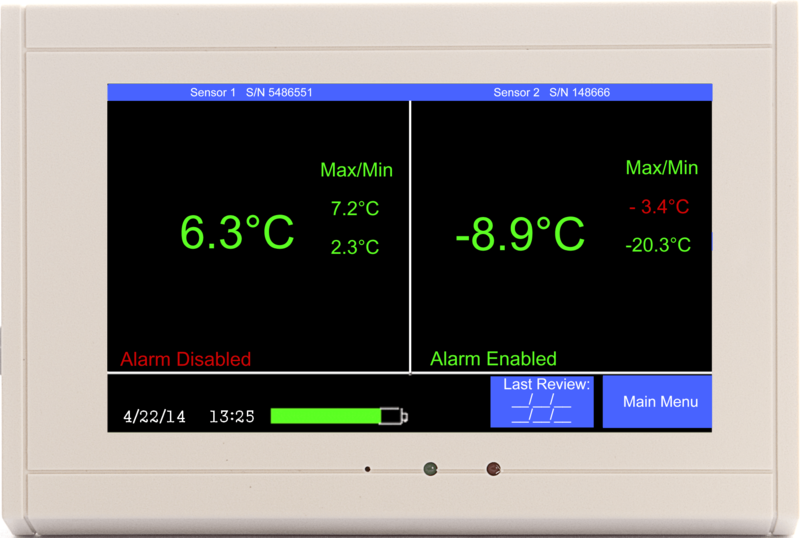 As soon as a temperature moves outside the safe range it turns red on the display, and if a delay is exceeded the monitor goes into alert mode. An alarm delay is usually set to eliminate false alarms caused by the door being opened or warm product loaded into the freezer. So if the temperature gets too warm for too long, or the power fails, the freezer alarm goes into alarm mode and people are alerted. the TV2 alarm can even send all three alerts; text to multiple phones, emails to several people and phone calls to additional people. It is all too easy for a freezer to malfunction by warming up and then cooling down again while no one is around. This sometimes happens when the compressor relay gets stuck. Should that happen it would not be noticed if the temperature was being recorded once or twice a day, but the TV2 will catch it every time. 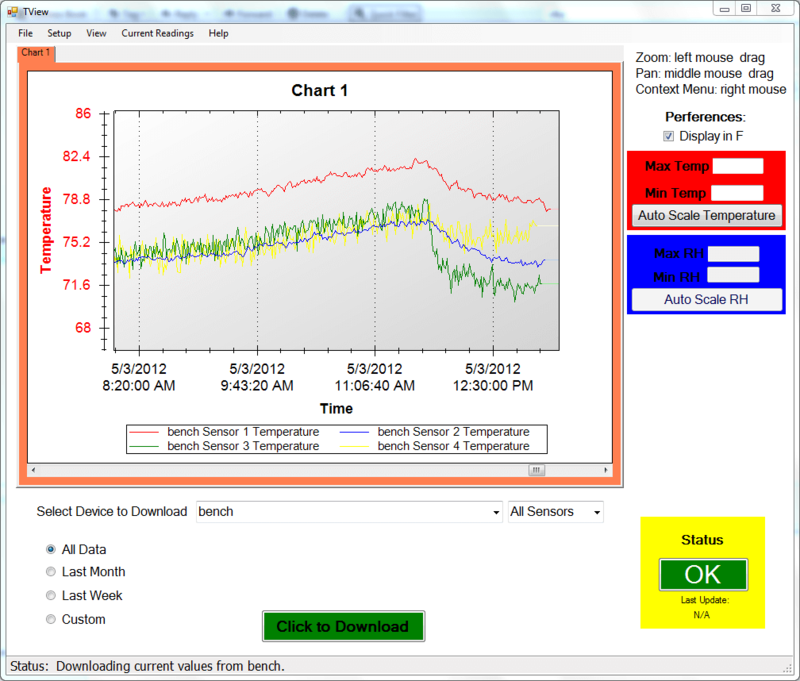 You can view an actual temperature chart on the TV2 Freezer Alarm. The chart is so easy to understand that each member of your staff will “get” it without any special training. They automatically become part of your quality control system every time they glance at the display. Anyone can immediately see if everything is OK or if something happened while no one was looking. If all the numbers are green everything is OK. If a number is red there is a problem. All logged data is stored in an encrypted format and can be electronically signed. All downloaded files are encrypted with 128 bit encryption. 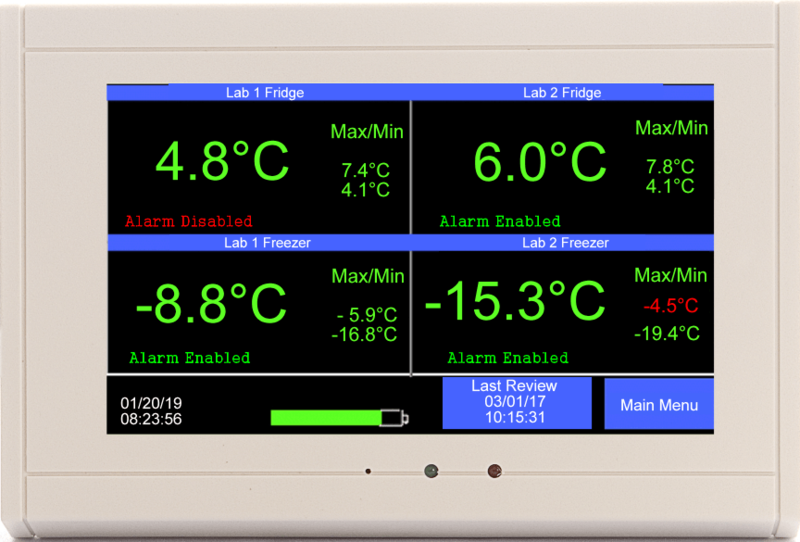 Once the data has been logged to the Freezer Alarm it can never be changed, even after being downloaded to a computer as long as they are stored in the TV2 format. Of course, if they are imported into Excel the encryption is broken..
NIST traceable calibrated sensors are available. Re-calibration can be done by metrology labs or even at your location by comparing the temperature to a certified and/or calibrated instrument. 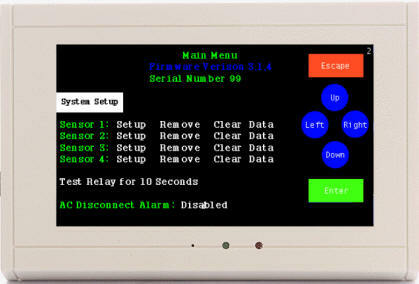 Each sensor has its own calibration table which is user accessible. Q. 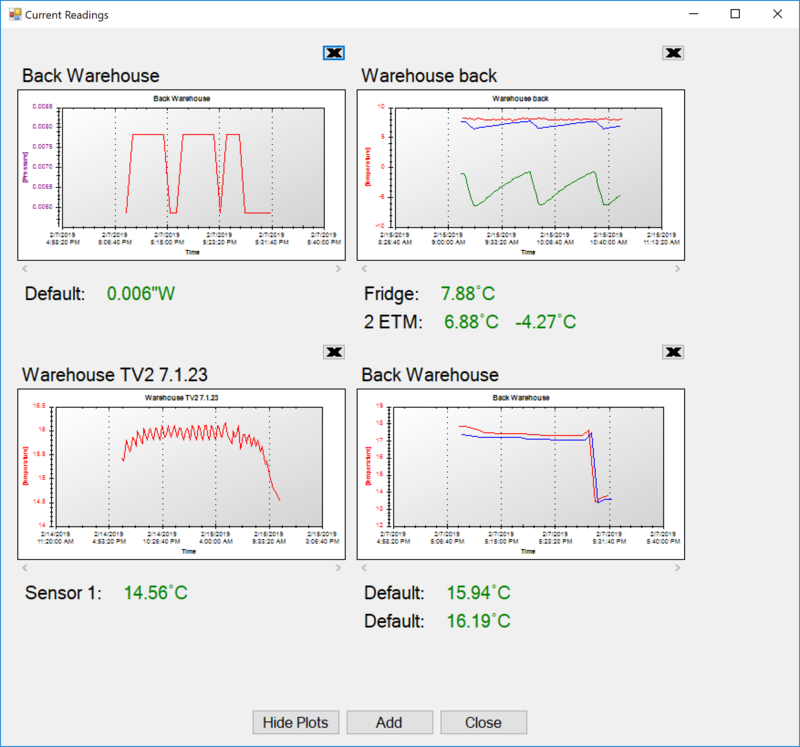 How accurate is the temperature sensor? A. Yes. It exceeds the requirements of each of these agencies. A. 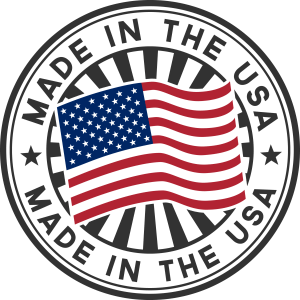 Each sensor comes with a twenty foot wire, which can be extended to hundreds of feet. Q. 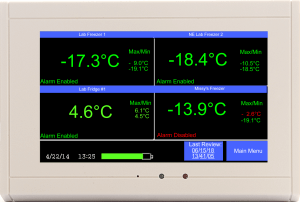 Are the temperature sensors wired to the monitor? A. We offer both wired and wireless sensors. A. It does not matter. Wired sensors needs to plug into the monitor but the monitor can be mounted anywhere. A. No. Sensors do not need outside power. The wireless sensors do require a 9vdc battery. A. Every four seconds if you are using wired sensors.